Cash for Cars & Trucks is committed to excellence – but we are also always looking for ways to improve. Let us know how well we hit our mark of perfection by rating us below. We appreciate you taking the time! Honest, reliable, friendly service, every time. We just bought our second car from Izzy. Our expectations have been exceeded. Thank you for all your help Izzy. I went in with $500 and was able to obtain a nice car that fits exactly what i was looking for. Going in today to finalize the insurance and im off in my new ride! Thank you guys for all of your help and for understanding my situation. Izzy is so Awsome! 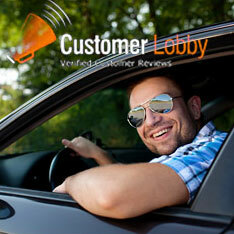 He is a great car salesman & really does do what he can to make the process as smooth as possible. My nephew left with his new car & was very happy with the price & the service. I would recommend this dealership anyday!! !